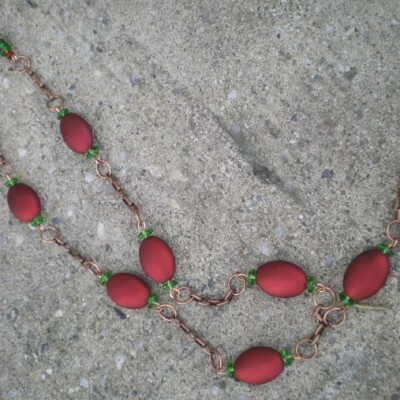 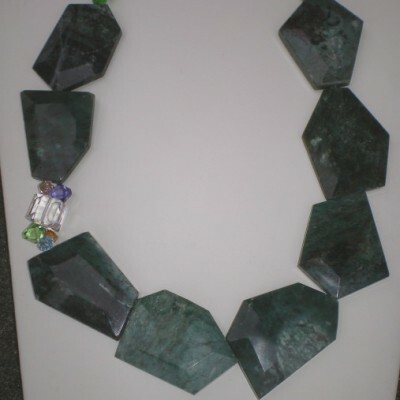 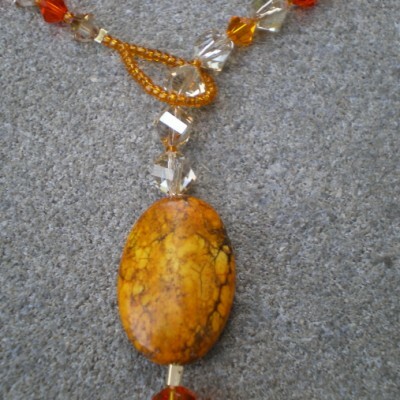 18 1/2″ Long handmade beaded necklace. 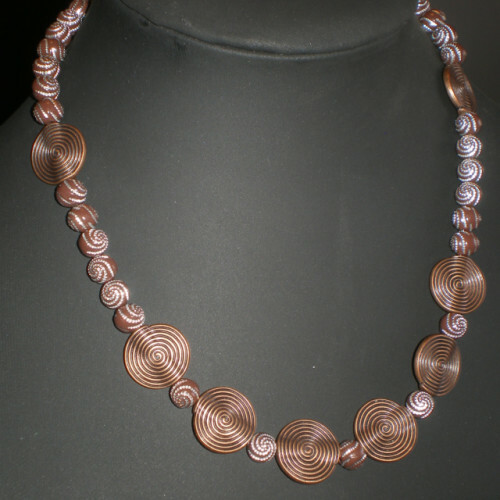 Copper swirl round metal beads with brown acrylic beads with silver swirls, 4 swarovski crystals, and copper lobster claw clasp. 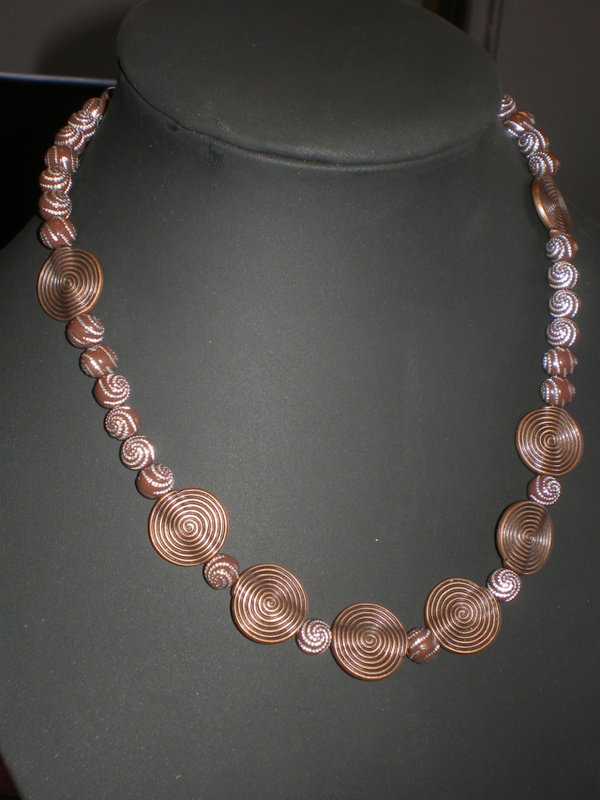 Be the first to review “Copper Swirl Necklace” Click here to cancel reply.